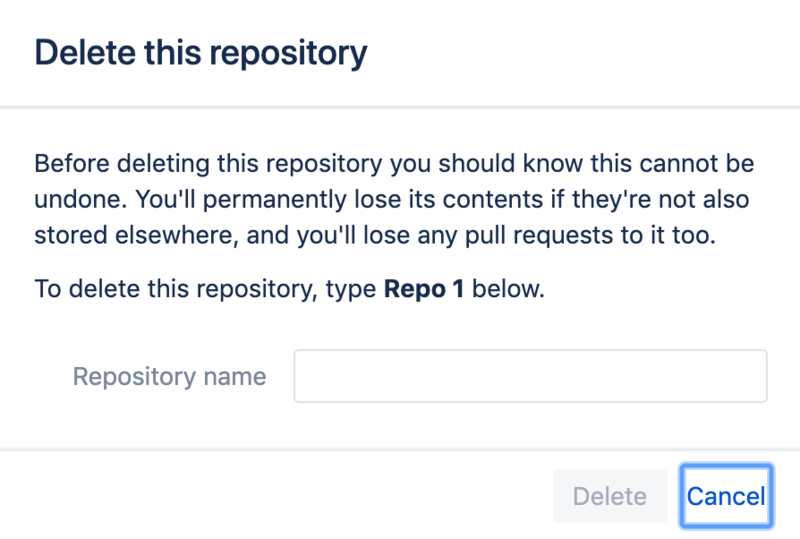 Bitbucket Server 6.2 comes with a wide range of improvements designed to streamline your workflow and minimize errors. Add repository descriptions: Tired of playing repo roulette? Short descriptions can now be added to repos to provide additional context and make them easier to identify. You can add these when creating a repo, or through the repo settings page. See absolute timestamps: For increased precision, you can now choose to view all timestamps in absolute format (e.g. : 7 Apr 2019 2:00PM), instead of relative format (e.g. : 2 days ago). Head to your account settings to make the switch. View SVG source code: To streamline reviewing and working with SVGs, you can now directly see and edit their source code in Bitbucket. This can be done in both diff and source view. Delete confirmation check: To prevent a project or repository from being deleted by accident (don’t worry if you’ve done this, we may have done it ourselves too 😞), there is now an additional check — users first have to enter its name. Customize your support link: You can now set up the ‘Contact Support' link in your instance footer to get your users back up and running faster. Direct them to a custom URL (e.g. : that of your support desk) or to send an email (e.g. : to a system admin). For more info, look for footer.links.contact.support on our config properties page. Support for Git 2.21: Bitbucket Server 6.2 includes support for having Git 2.21 installed on the server.